I made this 7Cup sweet for the first time. 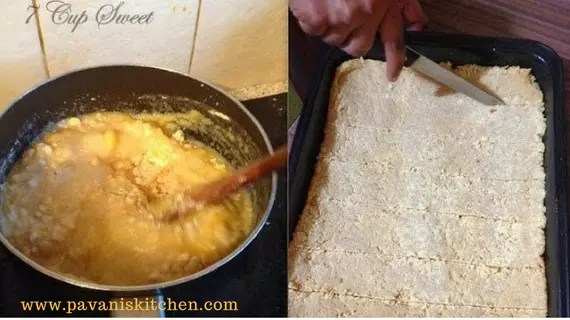 It came very well, especially my daughter liked it very much and she asked me to prepare it again.You people don’t believe all the sweets was finished in one day, even my friends also liked it very much.Here goes the recipe. Pop all the ingredients in a non-stick bottom pan and mix everything well without any lumps on medium to high flame. Keep stirring to prevent burning at the bottom. Reduce the flame to low and continue stirring. You will find bubbles coming out and the mixture starts leaving the sides. Grease a plate of your wish with ghee.When the mixture becomes thick immediately pour the mixture on the greased plate. 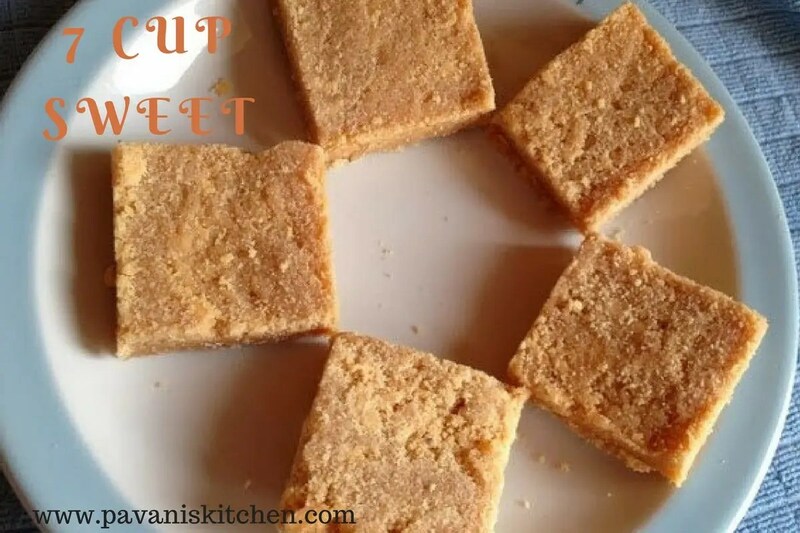 Allow it to set for few minutes and then cut into the shape you want and enjoy these delicious 7cup sweet. 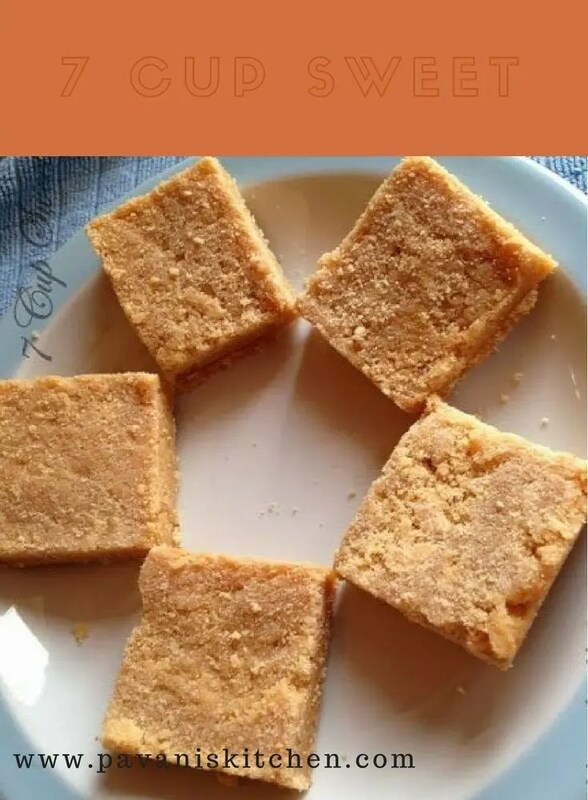 Try this easy and tasty 7 Cup Sweet. Grease a plate of your wish with ghee.When the mixture becomes thick immediately pour the mixture on the greased plate. Allow it to set for few minutes and then cut into the shape you want and enjoy.